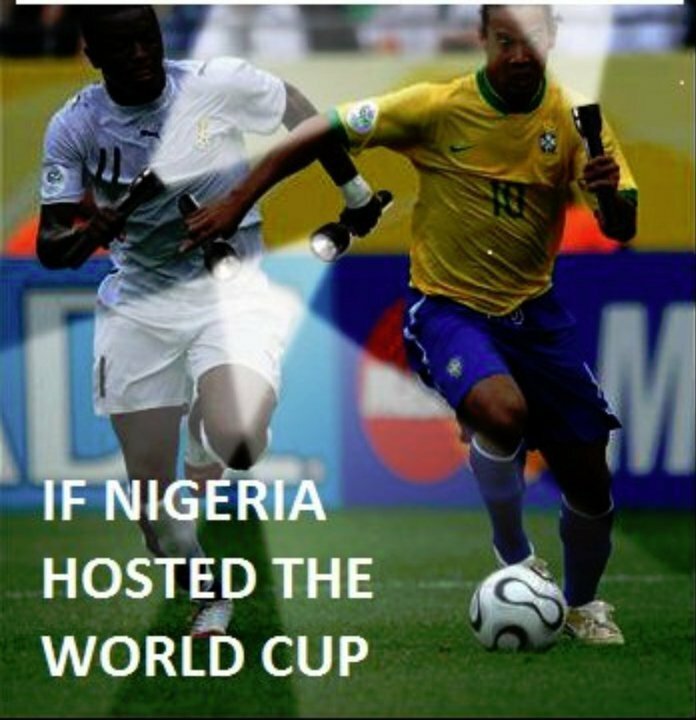 If Nigeria Hosted The World Cup..
Lmao. Yea – seems about right. She said that’s where dreams start. Creation is when we’re closest to God. So..Yea…There’s something that I keep having to re-learn, that I have to keep re-discovering. I’m hoping that by putting it down – I’ll be able to keep it front and center. What’s the lesson you ask? Well, I wasn’t going to tell anyone but as long as you keep it between us and maybe remind me from time to time I guess its cool to tell you. I’m hard on myself. I need to stop. Yea I know – Mind-blowing, Life-changing, Confucius couldn’t have said it better. But, really – I go through these cycles where I set goals for myself, get disappointed when I discover that I either reached them fashionably late or not-at-all. This mind-numbing depression stalls my goal setting and lands me in a rut (A I-Dont-Feel-Like-Achieving so Turn-On-A-Marathon-of-The-Wire Rut) that I get angry at myself for being in and then one day I wake up (2 Seasons of The Wire later and with a Baltimore, MD accent) and I decide to set some more goals. Its not pretty. Anyway- I’ve started to realize that I’m not perfect. 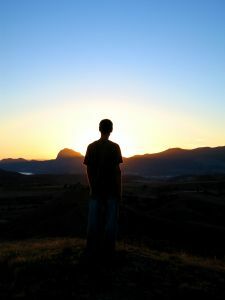 (That REALLY came as a shock – had to light some candles and consider counseling) – So recently I’ve realized when I get into these moods that feeling sorry for myself isn’t a suitable response. Instead it is exactly at these times that I need to do something, ANYTHING to start some type of movement. As I read recently : “When you do things – Things Get Done”. So my new goal -is to just start doing stuff. lol. Not random, totally unrelated stuff – although in very bad cases – I’ll start there – so I can at least start to get that productivity buzz that all of us get when we start crossing stuff off our to-do lists. The trick is to start the buzz then maneuver myself so that the productivity train gets aimed at the goals that are most important to me. While tackling the tougher goals straight away always makes me feel much better, sometimes I just don’t have the willpower to start on them right off, so I kinda get on my training-wheel version of Grind Mode and start on the easier tasks then when I get some momentum going – I whip off the training wheels and cruise till I get to where I’m going. Back to the main lesson: Forgiving yourself for your “human”-ness and finding ways to get moving when you “just don’t feel like it” is a necessary skill. I think the first and most healthy step is to stop beating yourself up and accept that your not going to be Mr/Ms. Super productive always and then get on with doing something. Don’t stand still for to long. I Love Peanut Butter like this guy loves Rainbows. Get Familiar. p.s. He might love rainbows just a little bit more than I love peanut butter. I only sob under my breath as I eat them. Fortune favors the Bold. I’m speaking to us both when I say..chase yo’ m********************************** Dreams!